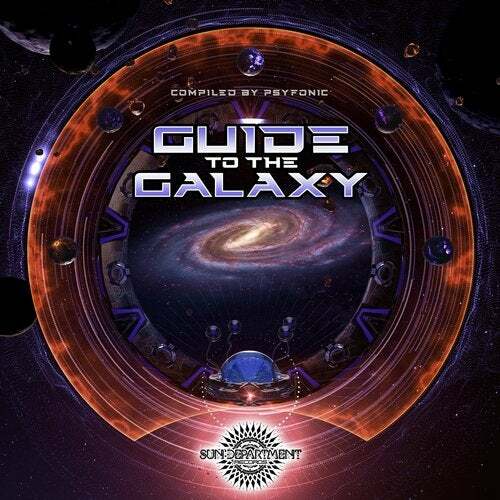 The "Guide To The Galaxy" shows you the way to a wonderful universe full of music, light and happiness. There are no worries around. Just fun, exuberance and a special kind of trance! Get carried away and enjoy this powerful compilation, carefully selected and compiled by Psyfonic, head and founder of Sun Department Records based in Hamburg - Germany. 10 fresh and unpublished Full-On Psytrance tracks take you on this colorful and loud journey through space and time. This spaceship is flown by some very well-known captains of the current psytrance scene such as Block Device, Ital, Atyss, Yurika, Bonnie and Clyde and Chrizzlix. On this space flight, the young and talented cadets of Psy Agency, Perkins & Onero, Optical Delay and Psyfonic himself will handle the engine room and navigation. This ensures that every fellow traveler arrives safely in the new Galaxy. Enjoy the ride!